Cold and flu season is so rough. Especially when your child is in school. Adalyn is in three-year-old preschool and already came home with an illness and it is the worst seeing your little one sick. It quickly transferred to Oliver and then to Troy and I. After that, I decided to pay special attention to putting measures in place to keep everyone as healthy as possible this season. These are the things that our little family is doing to make sure that we are all as healthy as can be. I think that it is super important for kids to stay active, even in the winter. We try to get outside most days and if we don't, we do activities inside to keep Adalyn active. A fun indoor one is kind of a "Simon Says" type-game where you turn in a circle, touch your toes, jump up and down, etc. It is great for adults and kids! Adalyn loves it and I get some movement in as well! Some of our favorite ways to stay active outside are to go sledding, go on walks and play in the snow. You can always bundle up so that you are warm enough to play outside even in quite cold temperatures. Oliver loving some zucchini and black beans! After our recent sicknesses, I said to Troy that I want to keep the family as healthy as possible through good foods. We have been making veggie loaded soups, stir-fries, sloppy joe's and more. In the morning, we often have butternut squash pancakes (just a cup or so of mashed butternut squash thrown into whole-grain pancake batter) along with some fruit. For lunch and dinner, we always include at least one vegetable. Many snacks include different forms of fruits or vegetables: veggies and dip, applesauce, dried fruit, fresh fruit, etc. I want the kiddos to get tons of vitamins and minerals from foods to help support their immune systems. 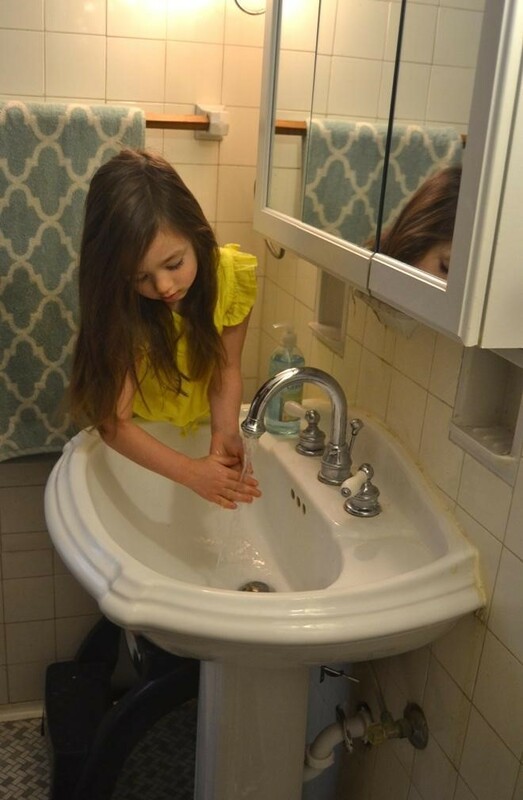 Washing your hands is the best way to fight off illness and I was so happy to see when I visited Adalyn's school that they wash their hands frequently. We have started talking about germs more at home so she knows not to share other kid's drinks and food and other ways that are super easy to share germs. I've written about it before that Adalyn is obsessed with taking her vitamins and she asks for them all the time. She takes a chewable multivitamin and a daily probiotic. We like the Genestra HMFFit for School product which contains a combination of research-driven probiotic strains and vitamin C that supports children's upper respiratory tract health and immune function. They come in chewable tablets which are easy for kids to chew and are for school-aged children. The multivitamin helps so that she gets any nutrient that she may have missed in her diet. Adalyn said that she really enjoyed the flavor! They come in a blackcurrant flavor. Different factors such as stress and travel-related factors can affect the composition of our gut bacteria and Genestra Brands has a product that is called Genestra HMF Travel that combines 5 probiotic strains to promote healthy gut flora and to support gastrointestinal health. This one is great for adults who travel often. I take this one when we are going on a trip! Oliver all curled up taking a nap! 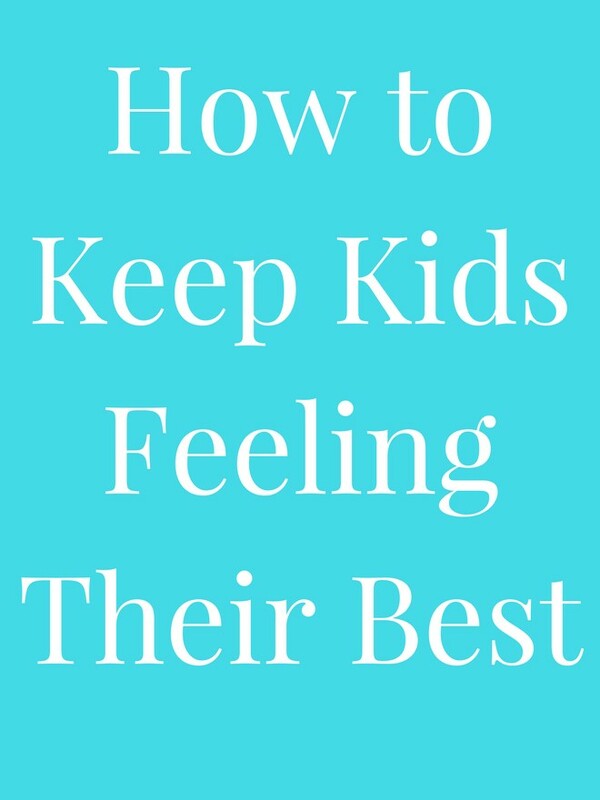 For the kids especially, sleep is number one in feeling their best. When Adalyn doesn't get enough sleep, watch out! She is so grumpy and the only thing that gets her back to her normal happy self is getting plenty of rest. We try to honor kid's nap times as much as possible so that they feel their best and help keep their immune systems strong by not being sleep deprived. I hope that your family is able to stay as healthy as can be this winter!